Diet & Nutrition E-Counseling Is Here! 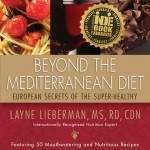 Need Help Losing Weight, Want To Improve Your Health, Feel Better Or Manage Disease Through Diet? One of the key components to improving health is the way we eat. An individualized menu plan based on your history, height, weight, activity, lifestyle, food preferences and needs is a cost effective way to take control of your diet and health. 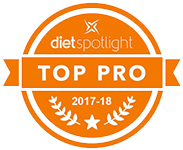 As an expert Registered Dietitian Nutritionist (RDN), I will work with you to find the best dietary solution to achieve the goals you’re aiming for. Remember that there is no one diet or meal plan that works for everyone. Your plan is developed just for you and can be modified as needed. The best part is that you don’t have to travel to an office for the sessions. E-counseling requires a phone (cell or landline) and a computer with an internet connection–and it’s proven to work! Lose weight, get healthy, feel good and enjoy food like never before! Your healthy eating plan is designed to fit your individual needs — and it’s always confidential! If you’re interested, please provide your email address and telephone number and a registered dietitian will be in touch to answer questions and provide a fee schedule. Disclaimer: The content of this website is provided for general informational purposes only. It is not intended to be a substitute for professional medical advice. Do not use the information on this website to diagnose or treat any medical or health condition. Those seeking treatment for a specific disease should consult a qualified physician. By contacting WorldRD.com you agree to be added to our mailing list. Wow not even sure where to begin. You have been a miracle in my life. I was constantly on diets and struggling to loose weight, I tried everything. Nothing was working and I was so frustrated. Bell went off call Layne Lieberman. Thank god I made the call. It’s been a process but you have made sure I always get to eat what I like and mix things up so that I don’t get bored with my food. When I started to notice weight coming off and some of my old jeans fitting again I actually started to cry and realized I can eat healthy and feel good and it’s all because of you. Layne you have always been available for any call, text , email etc. I’m laughing about the time I was in Paris and emailed can I eat the bread. You have been an absolute life saver and love working with you. Thank you so much for helping me learn to love healthy food.